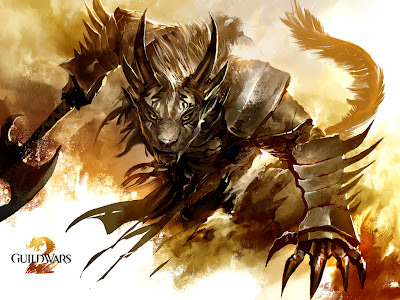 Guild Wars 2 is an interesting one to be sure, it follows many of the conventions of an MMO but where it breaks them is where it really shines. Skipping right to the inevitable comments: yes, it's awesome no doubt about that, but no it won't kill World of Warcraft - Blizzard are doing a fine job of that themselves. You have to wonder why is it only now we're getting features like these when many of them have been common complaints in the genre and gaming for so many years. 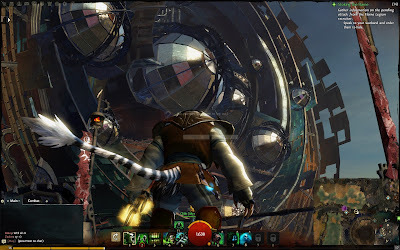 Love it or hate it grinding is usually synonymous with many MMOs whether it's PVP, dailies or dungeons/raids, most end-game content is a form of grinding. Thankfully, while still present, you won't have the task of grinding for end-game gear that then becomes obsolete. The gear you will farm for is for prestige more than anything and won't give you an uber increase in stats - but it sure looks bitchin'. 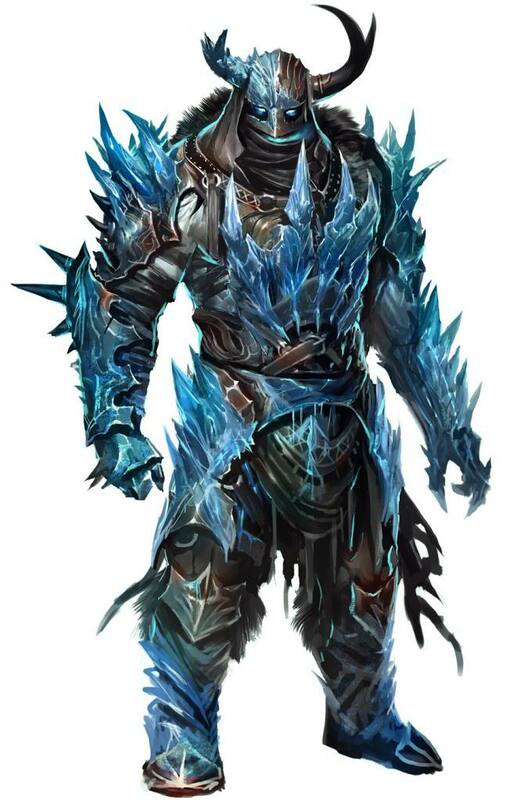 Here is some bitchin' armour. These types of quests are everywhere regardless of genre or how they’re dressed up. Ever had the situation occur where you’ve already completed the objective, perhaps several times over? But you've not picked up the quest first and now all the “rats” are dead so you have to wait for them to re-spawn or can't get to them before other players? In Guild Wars 2 THIS NEVER HAPPENS, let me say that again for the magnitude of it to sink in: you will never complete a quest objective or help someone and not have it count towards your quest. Which came first? The helmet or the house roof? Skills are the defining area of a character, they tell you what you can do, how you can do it and give flavour to your chosen profession. But the problem is there are usually too many of them. They clutter up your UI and are only very specifically useful. 'Cause if there are no demons around you really don’t need that demon specific skill! Guild Wars 2 deals with this by breaking down the available skills into areas and then ensuring that you have certain ones available, while allowing you to pick what you want. For example: 6 is heal on every profession, if you don’t like the default heal you can spend your skill points on a different one, but 6 will always be a healing skill. 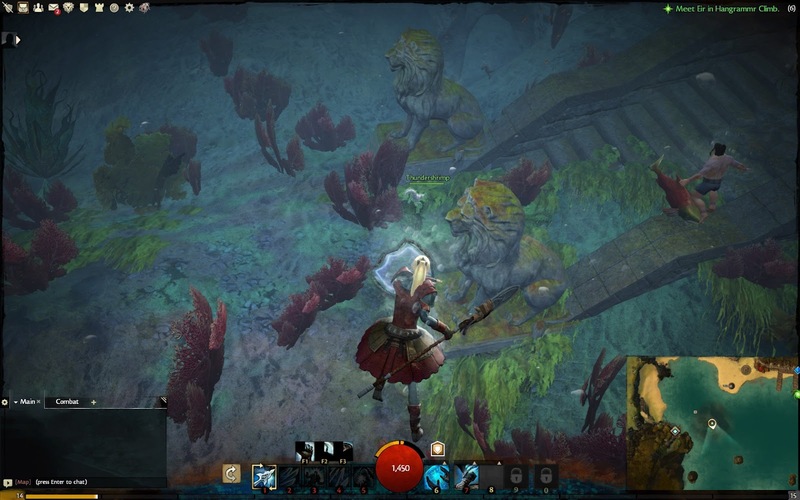 It seems all the new MMOs have to have jumping puzzles these days and while fun, they can become tedious quickly enough as you repetitively navigate the maze of platforms for the cheese at the end. Not content to rely on failures of timing and orientation to undo players AreaNet have taken it to another level, now as you jump there are enemies who are trying to kill you, there are also in some cases another level of puzzle such as the Shamans Rookery. Good job they teach you how to fight in armour underwater in the academy. It features NPCs that will deal you a knock-back (usually off the platform) if you don’t walk past them correctly. 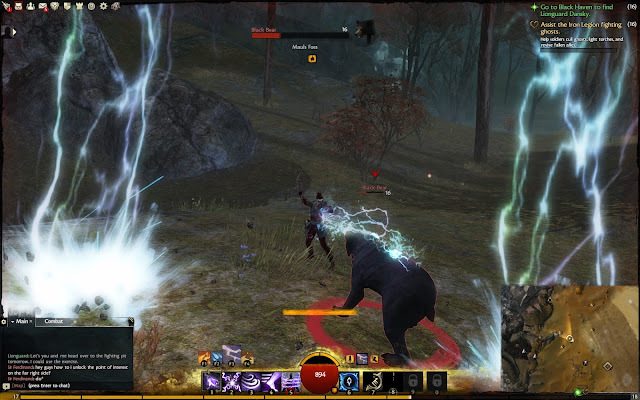 However with these new components it has also opened new methods to beat the puzzles, the knock-backs can be negated with abilities and the enemies are convenient target for abilities that teleport you to foes. This is another area where AreaNet bucks the trend. With many games leaving whole worlds obsolete and effectively barren of other players, this ensures players can go where they like and still have a challenge doing so whether helping a friend or exploring, or just looking to experience a different part of the dynamic event chains. During the past few betas, in some areas, the events seemed rather limited, this was because the area was so heavily populated with players that the chain couldn't progress past the first instance so you were constantly doing “The Bandits Attack” rather than "The Bandits have attacked, burned everything and set up camp". 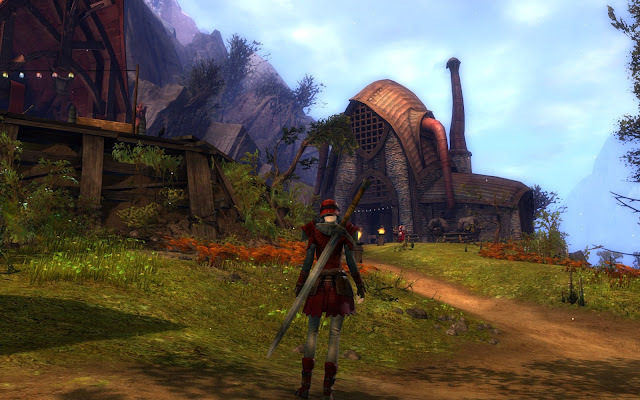 Going back at a quieter time changed the experience immensely, losing areas because there weren’t many players defending and still getting quest credit is a good thing as it completely changes the area. Kitty was mad that he didn't get fed on time. He learnt necromancy in his spare time. This is a game I'm definitely picking up it is a breath of fresh air (cliché but true) the new innovations and the differing style makes it something to watch. Even if you don’t want to commit there will be a free trial soon enough and given AreaNet's past business model you’ll probably be able to get pvp only packs and similar if you dislike PVE. While there are currently some player issues with the cash shop (dyes) and other small bugs remaining the game is more than ready to go, and while I was of that opinion when I got my grubby mitts on the alpha, now its even more polished and compared to recent releases (like Star Wars) it isn’t missing any major features on launch. I look forward to playing it on release and will be killing time till then in Skyrim. 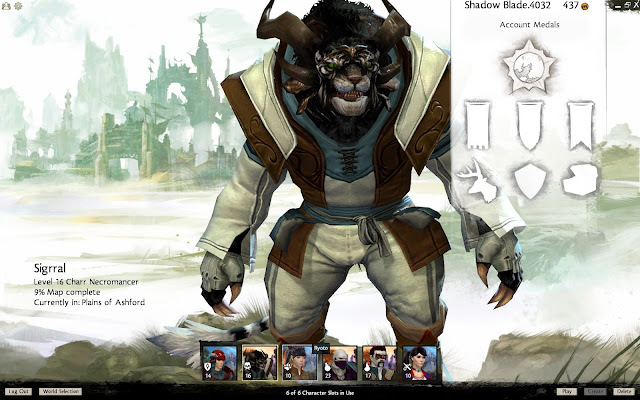 You can get more information about Guild Wars 2 from the official site or one of the numerous fan-sites, or just watching playthroughs on Youtube.